Before starting his PhD, Dries Maes worked in research institutes and as a project manager in the field for humanitarian agencies. In 2008 he became a partner of a private consultancy agency in Brussels, where he further gained professional experience in applied research and sustainable business strategies, specialising in biobased technology and environmental sustainability. His research during his PhD specifically looked at the regional impact of technological innovations. The research was centered around an agent-based evolutionary model of structural change in agriculture, coupled with innovation activity in related technological sectors. The results show that biobased technological change can only succeed if farmers are also embedded in the adaptive process. Market dynamics are not sufficient to induce structural change in the short term. As a post-doctoral researcher, Dries Maes focused on the innovation dynamics in the Limburg province. Since several years the authorities have invested in innovation and new sustainable technologies in Limburg. The innovation dynamics are supported by network activities, fundamental and applied research institutes and several incubators. He investigated the efficiency of the innovation activities, and the processes that bring innovations to the market. 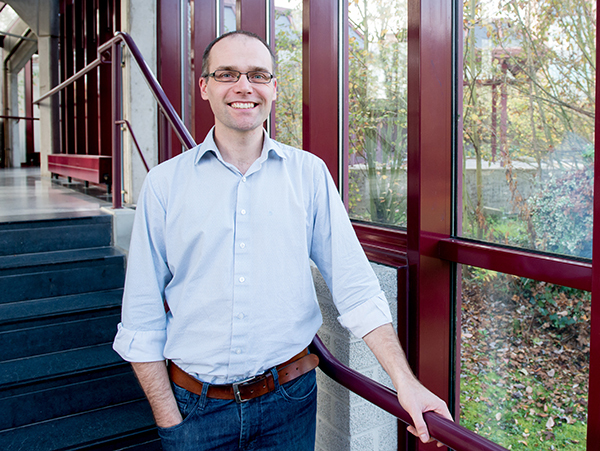 At the moment Dries works at the department of Economy, Science and Innovation (EWI-Vlaanderen), but he is still affiliated to the research group Environmental Economics, since he teaches some courses at the university.